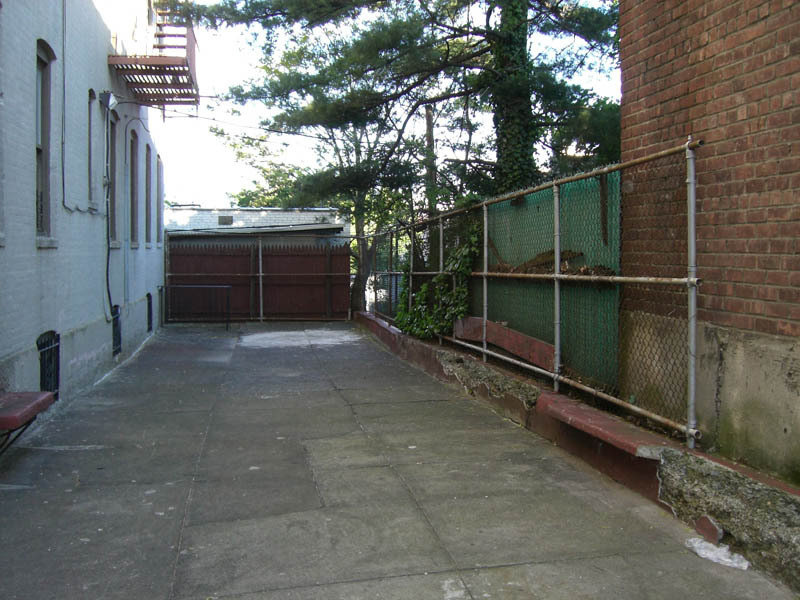 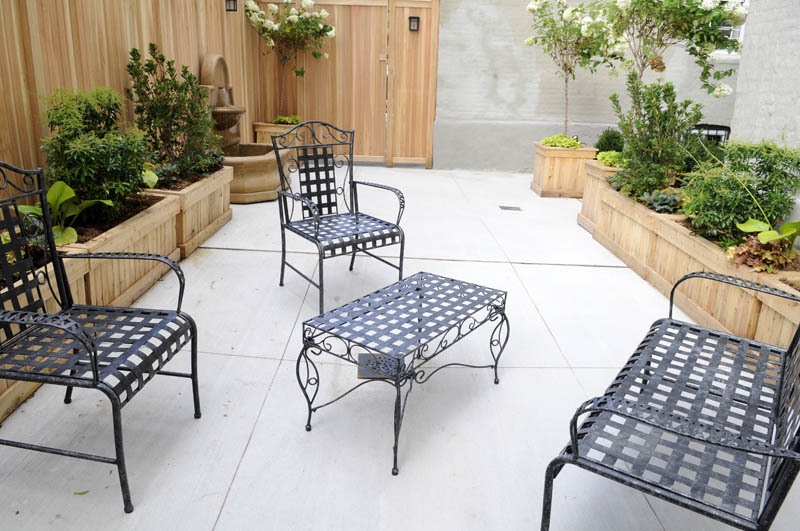 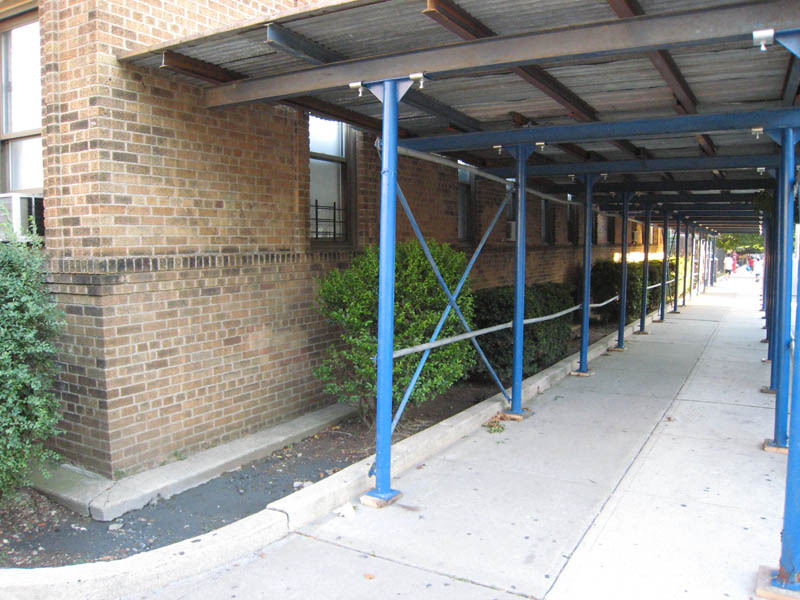 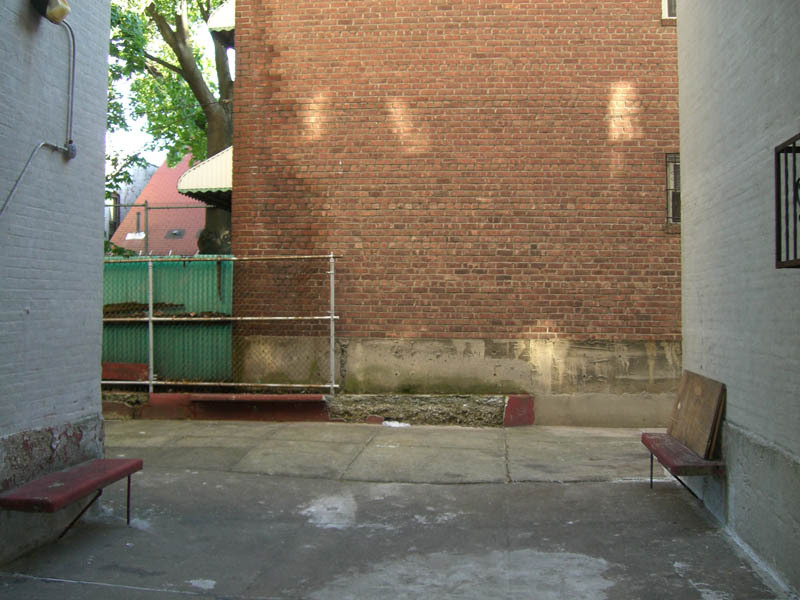 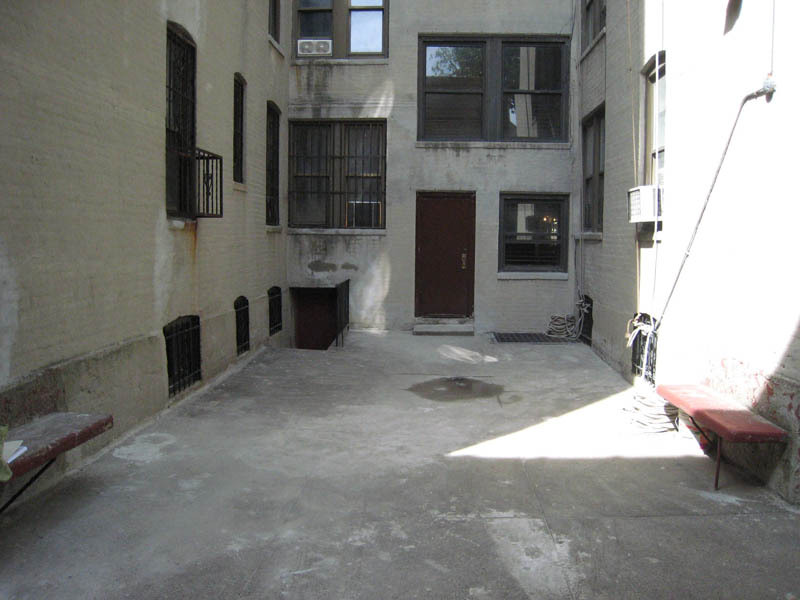 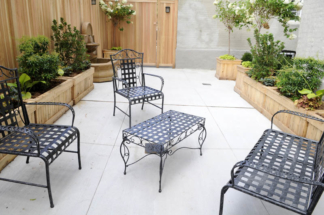 Located in the heart of Sunset Park, this co-op’s garden spaces suffered from neglected overgrown front gardens, and an unwelcoming expanse of concrete in the back. 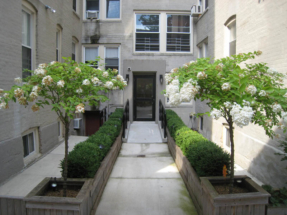 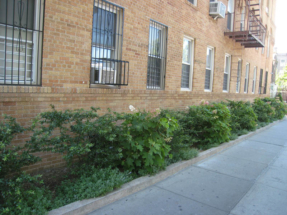 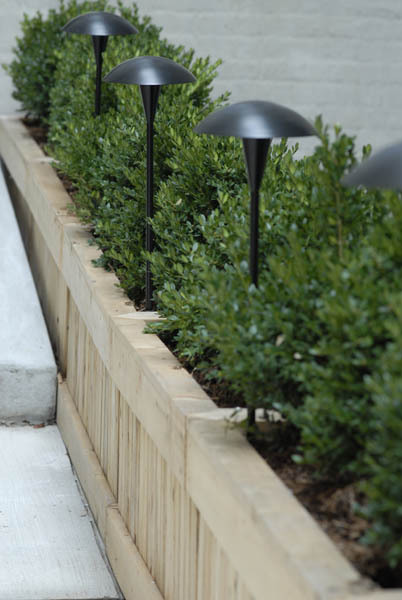 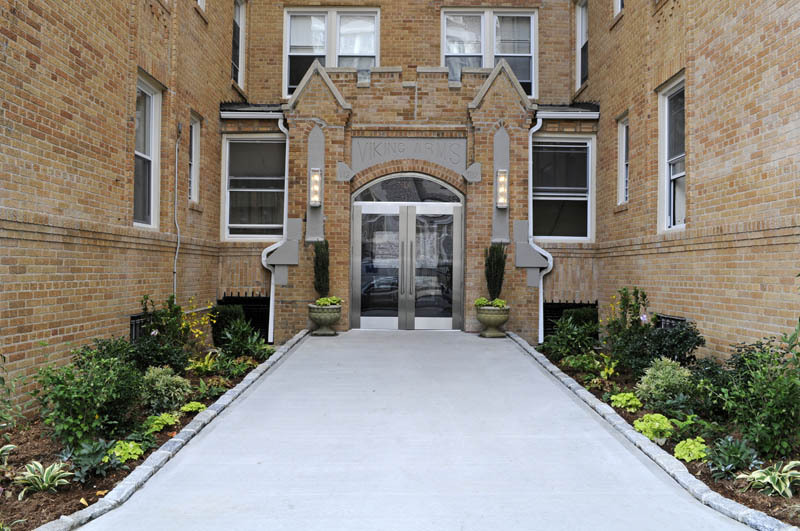 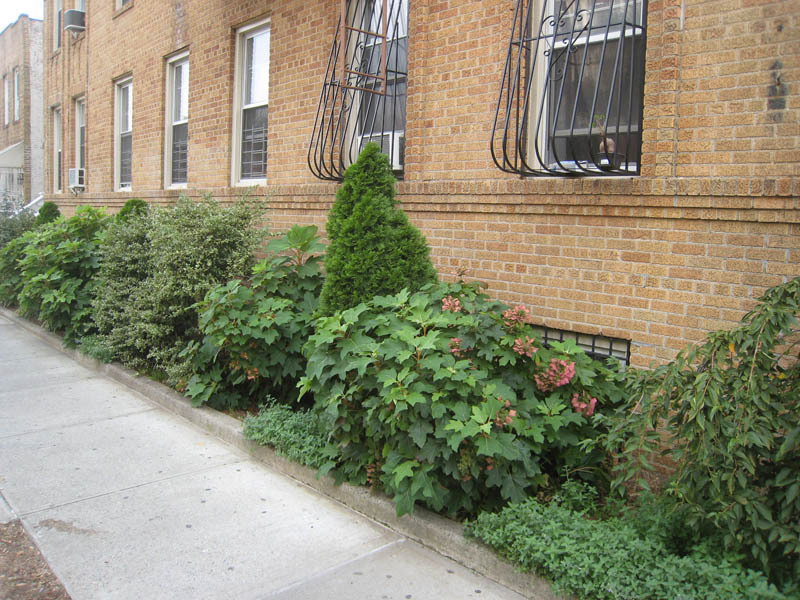 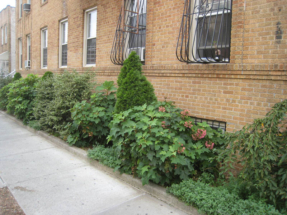 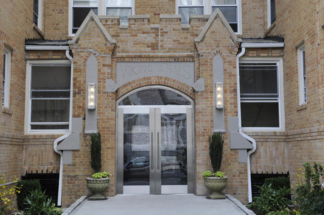 The front was cleared, and lush, inviting clusters of low-maintenance shrubs were planted. 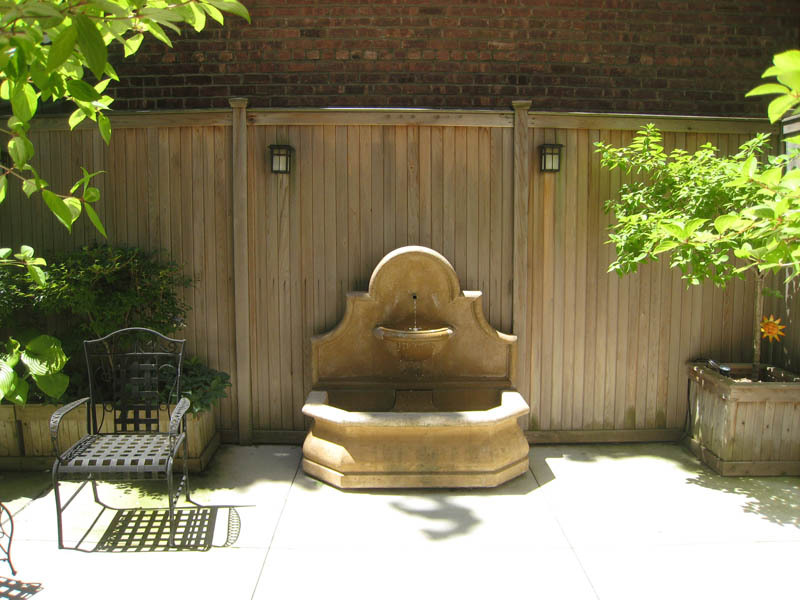 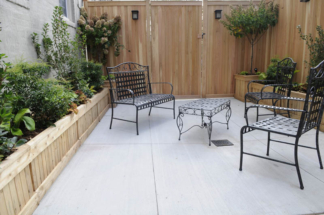 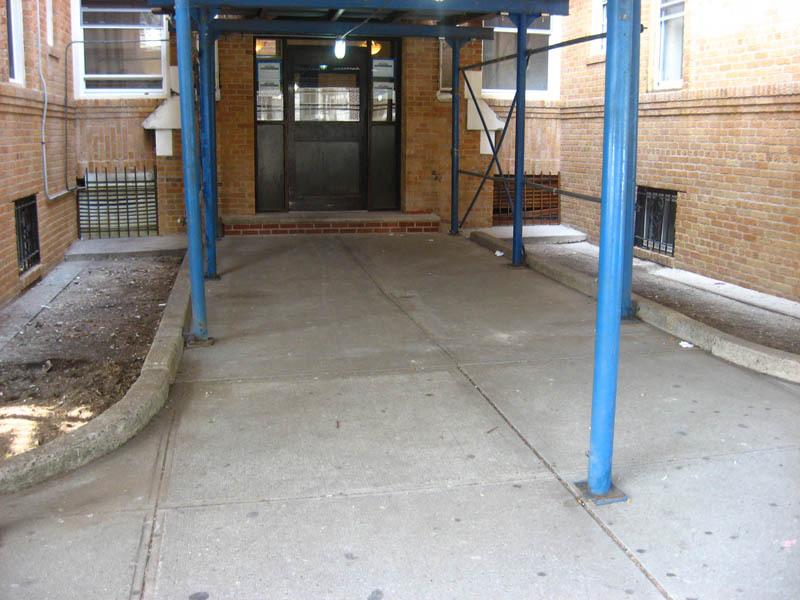 The back expanse of concrete was artfully re-paved and a perimeter fence was installed with privacy gates. 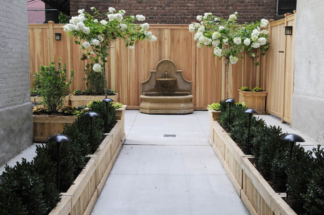 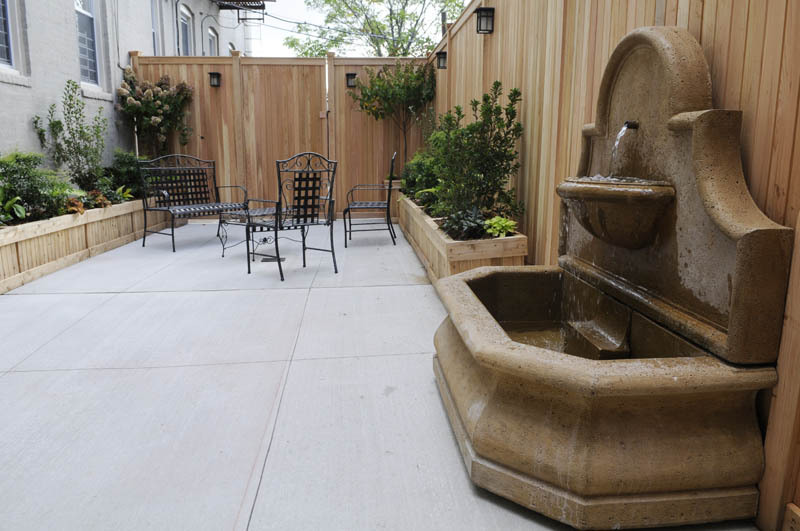 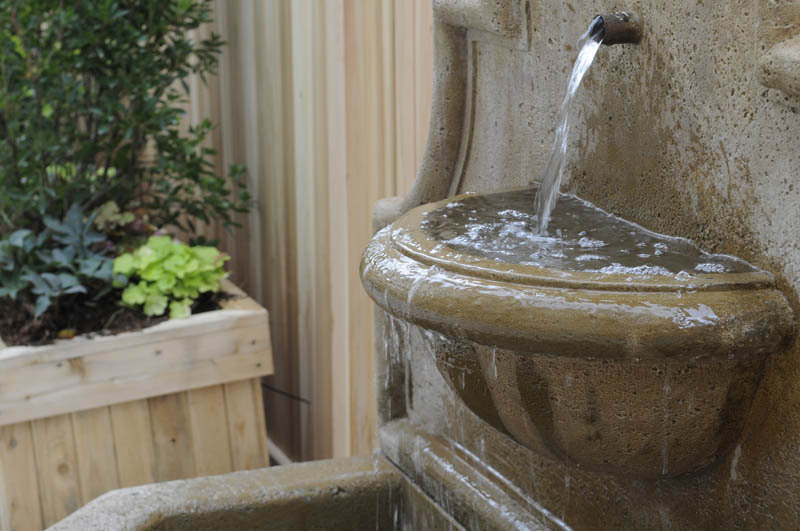 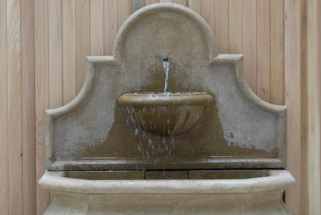 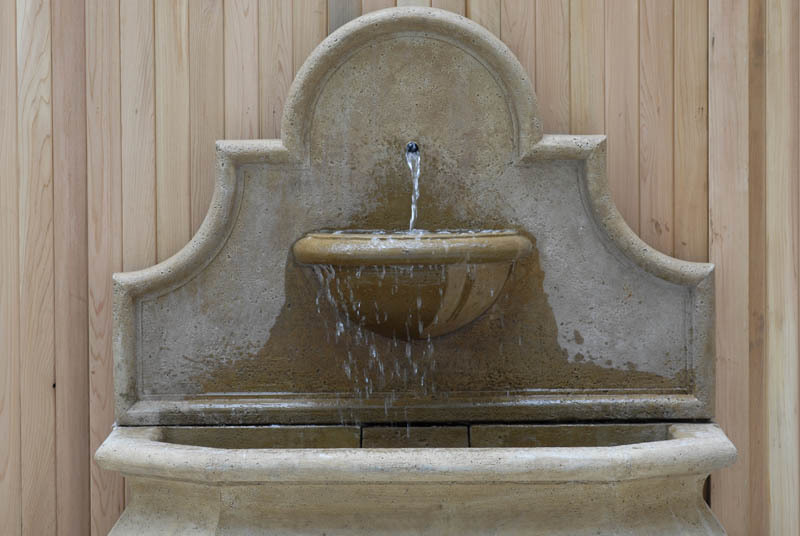 Wooden planter boxes with an array of trees, shrubs, and perennials were added in addition to lighting and a soothing stone fountain.